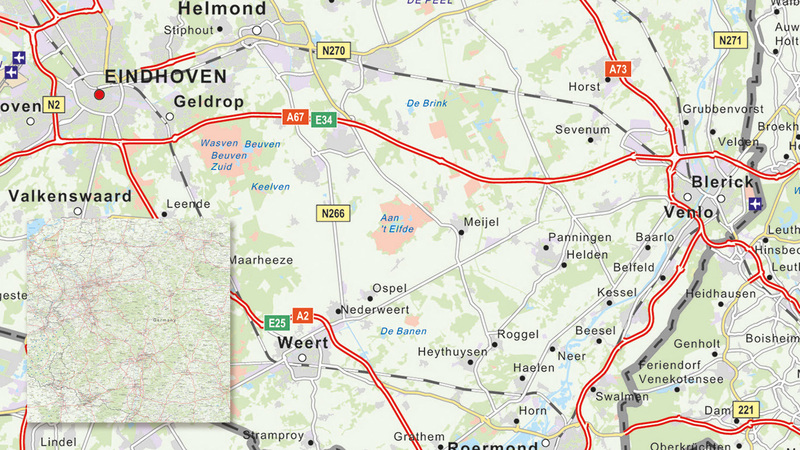 Navigational water, railways, motorways, cycling and hiking trails. All types of roads fall within this category. However, the title is usually associated with highways. Road maps are available in all types of formats and many more areas. A trusted companion for in the car or on the bike. 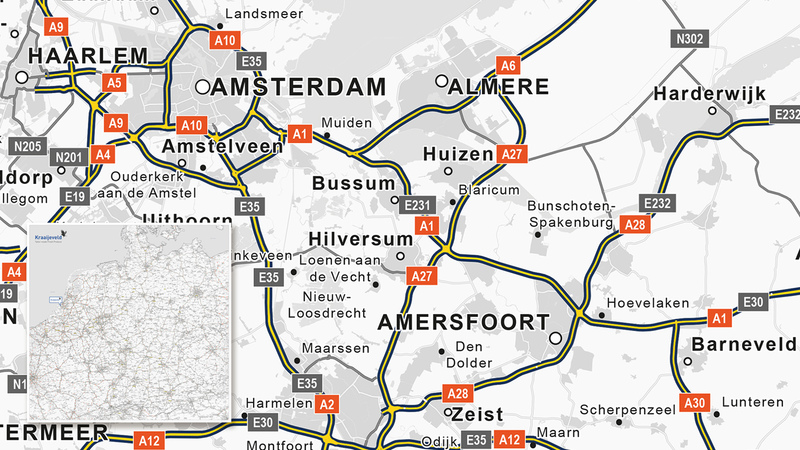 In our web store we offer a large number of road maps. A lot of our road maps are custom made orders. 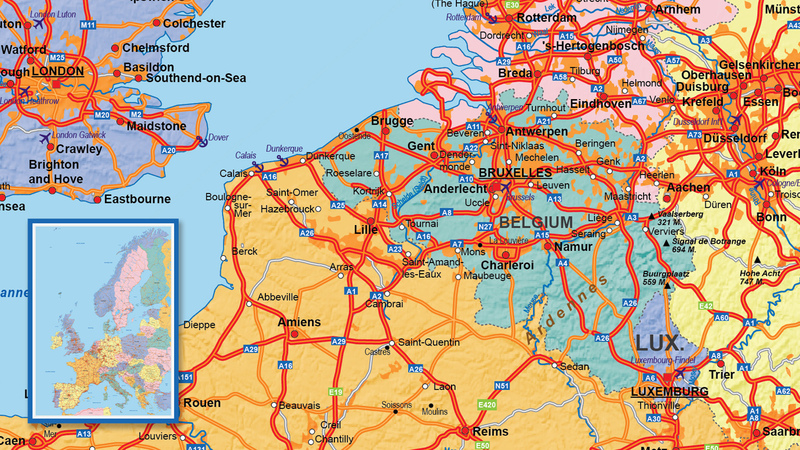 A popular product is our map of the Benelux, which consists of the Netherlands, Belgium and Luxemburg. Scale, detail, content and size can be customised to whatever you prefer. Road maps are suitable maps for transport companies. But are of course not only available in the single format that is offered in the web store, but we’re also able to create larger formats from all countries of Europe. The road maps we produce are often printed by our customers and used as a wall map. 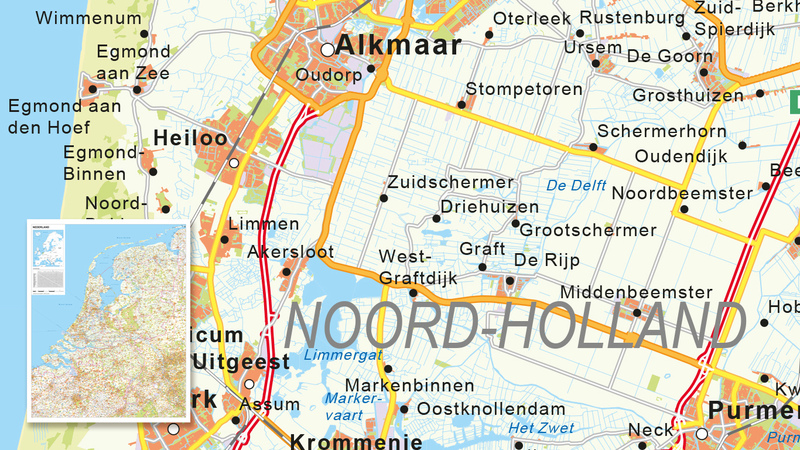 Maps with bike paths, hiking trails, railways, larger or smaller waterways can be made. For all countries and regions with any level of detail. A similar theme next to road maps are the route maps. You can read more about this type of map on our designated route map page. Do you want to create a road map? The area in question will determine the size and the corresponding level of detail in the map. Would you like to discuss what options are available? Feel free to contact us to discuss all possibilities, either by telephone, email or via chat.